Please note that PDF files have been optimized for web viewing, and may be lower in quality than the files used for print production. Average file size is about 1 to 2 MB. Full magazines will usually be available three months after publication. Magazine and website © NWC, All Rights Reserved (except for public domain information and news). Downloaded magazines are free for private non-commercial use, including chess club educational use. 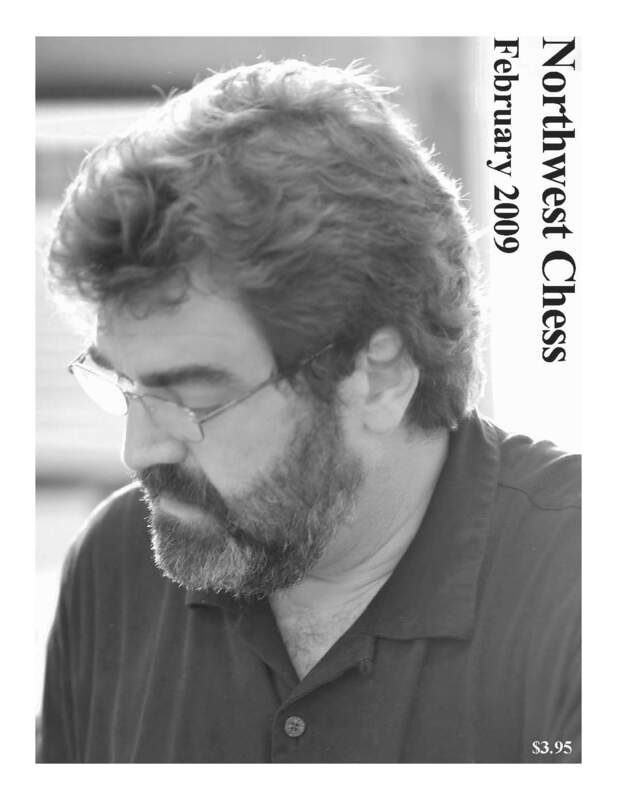 For any other uses, please contact the Northwest Chess business manager (see magazine information page). Return to recent back issues page. See NWC scanning project page for older issues. 32-page issue with stories/games from the Western States Open, the Silverdale Beach Hotel Classic and the Minnesota Chess Scene. Also instructional articles by Harley Greninger and Dana Muller, and the monthly NW Grand Prix update. 32-page issue with stories/games from the U.S. Senior Championship and the Clackamas Senior. Also a report on the Minnesota Chess Scene by former Washington resident Chris Kalina, a Grand Prix update, three instructional articles, and some scholastic content. Philip Peterson. 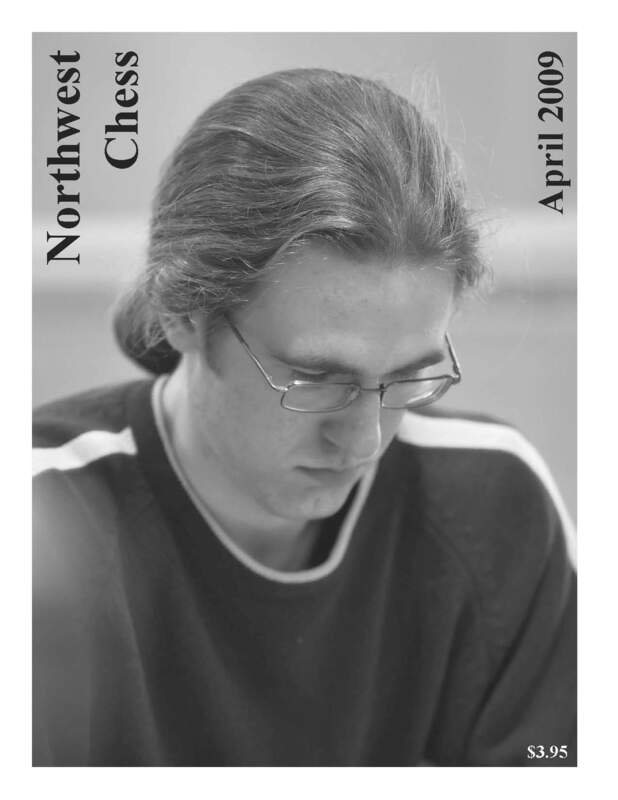 32-page issue with stories and/or games from the Oregon Open, another Grand Prix update, and the Tacoma Chess Times. Also four instructional articles, one of which is based on Oregon Open games. September NWC_200909_opt.pdf 32-page issue with stories and/or games from the U.S. Open, the Susan Polgar National Invitational tournament and the Newport Run/Chess Championship. Also four instructional articles, some book reviews by John Donaldson and another Northwest Grand Prix update! Color photos! 32-page issue with stories/games from the World Open, Green Open II, Grants Pass Open, and instructional articles by McGeary, Prochaska and Muller. Also a GP update and Russell Miller on the cover! Color photos! 32-page issue with "Chess Night" cover, an extensive WA Open report, a game from the Foxwoods Open in Connecticut, a Grand Prix report, a review of Kebu Chess software and more! 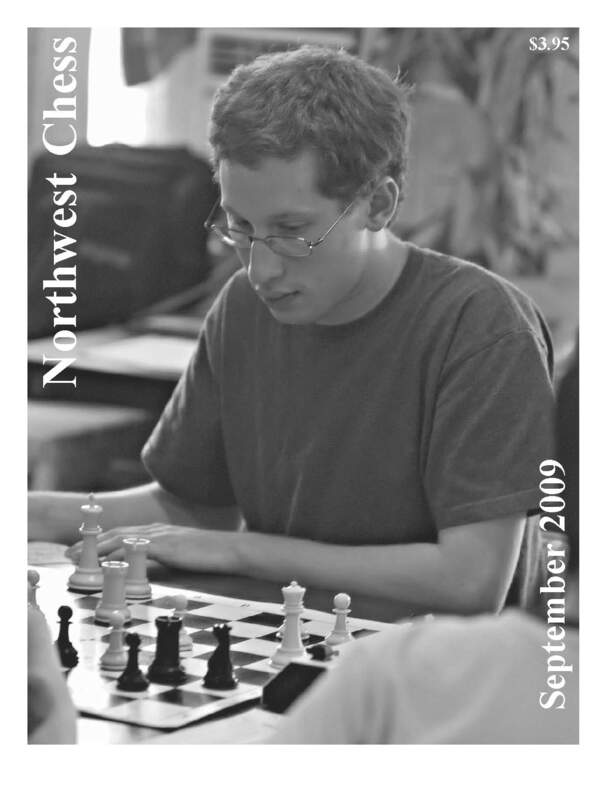 NWC_200906_opt.pdf 32-page issue with cover story about Landon Brownell, book reviews by IM John Donaldson, reports on the Victoria Chess Festival and 2009 WA Elementary Championship. 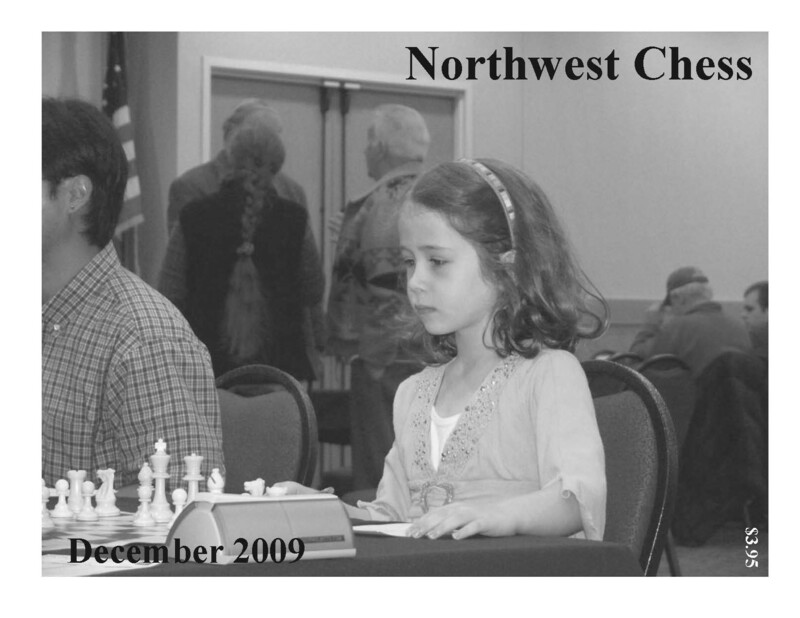 Also more games from the WA state championship and more chess instruction. 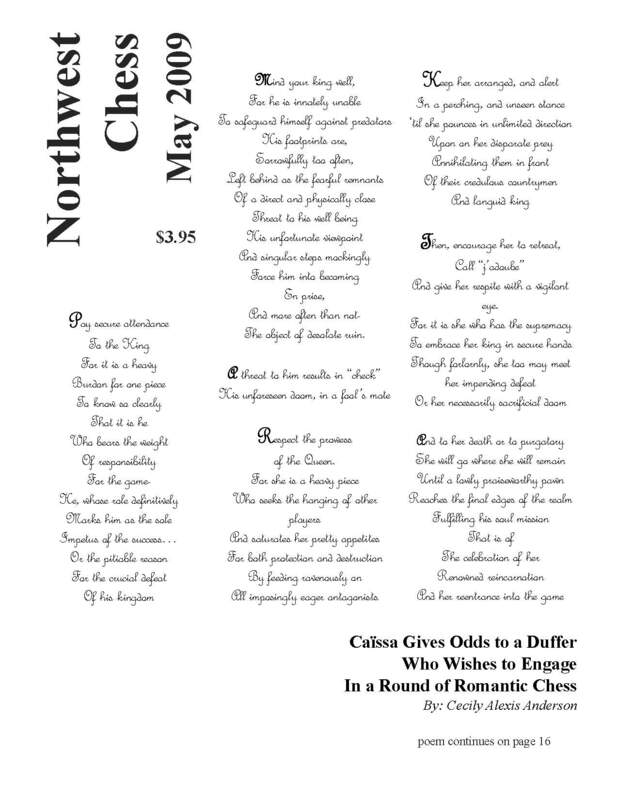 NWC_200905_opt.pdf 32-page issue with a poem, Washington and Oregon championship games, the Tacoma Chess Times, a Grand Prix update, and more chess instruction. NWC_200904_opt.pdf 32-page issue with news briefs, stories about the Collyer Memorial and the Oregon State Championship, and more instructional articles. 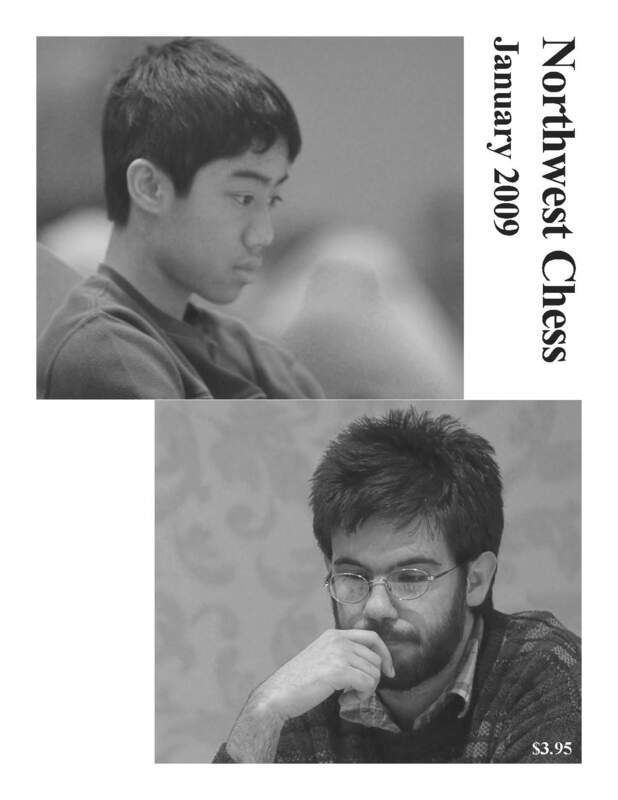 NWC_200903_opt.pdf 32-page issue with a story on the WA Premier by Vik Pupols, several more chess instructional articles including a coach-student dialog by Pete Prochaska, and various upcoming tournament ads! 1st Place, Chess Journalists of America, Best Chess Photograph – Viktors Pupols cover photo by Philip Peterson. 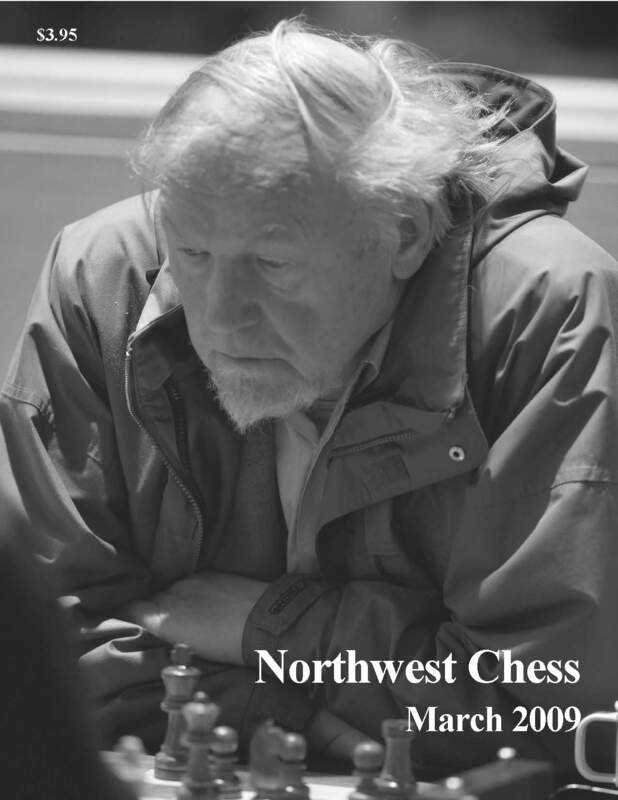 32-page issue with a WA Class game, a report on the Gresham Open, an extensive article by Bill Schill on his undefeated year (2008) and several interesting chess instructional articles. 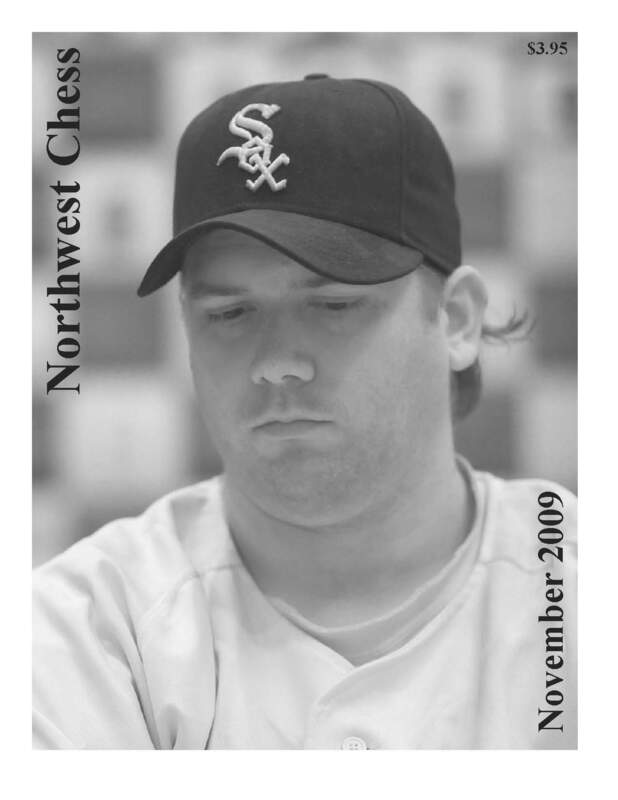 NWC_200901_opt.pdf 32-page issue with a report on the Reno Western States Open, some final commentary on the Seattle Sluggers season by Josh Sinanan, a Herman Chiu game and several interesting instructional articles including analysis of the upcoming Kamsky (USA) vs. Topalov (Bulgaria) match. 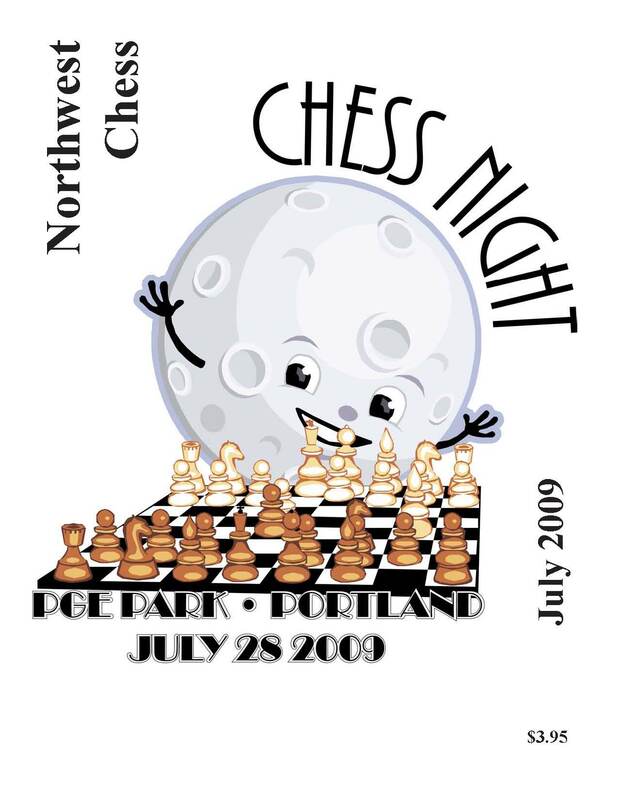 NWC_200812_opt.pdf 32-page issue with several interesting chess instructional articles, a Grand Prix update, more of "This Month in Northwest Chess History" by Russell Miller, and some comments on Fred and Carol Kleist by "Various Friends and Admirers!" 1st Place (tie), Chess Journalists of America, Best Editorial – We are the champions, my friend.... by Ralph Dubisch. 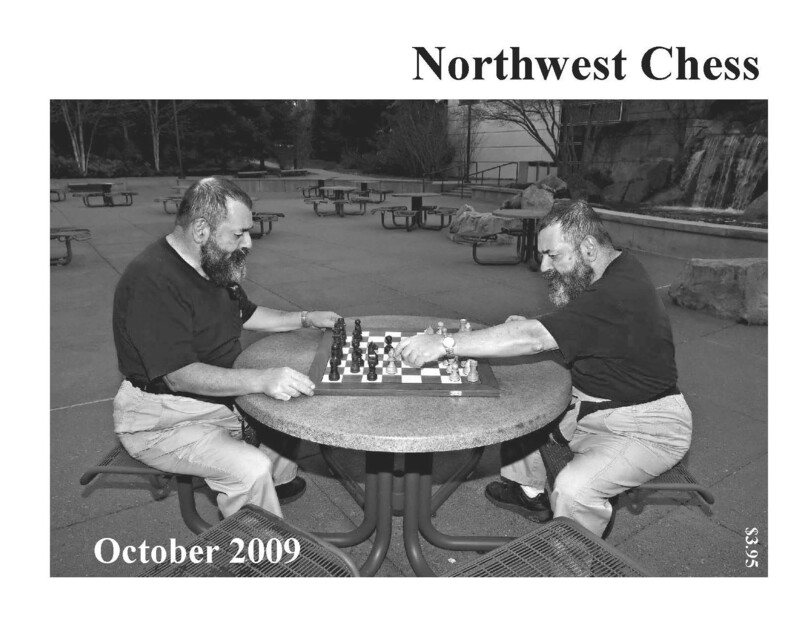 NWC_200811_opt.pdf 32-page issue with stories about the "Earth vs. Space" match, the 2008 Polgar and Denker tournaments, and other topics including "Chess in Central Oregon!" NWC_200810_opt.pdf 32-page issue with news and games from the U.S. Open, the Oregon Open, and (yes) the Washington Open last May. Also, congratulations to Gary Dorfner of Tacoma, winner of the USCF Meritorious Service Award, whose photo appears on the cover! 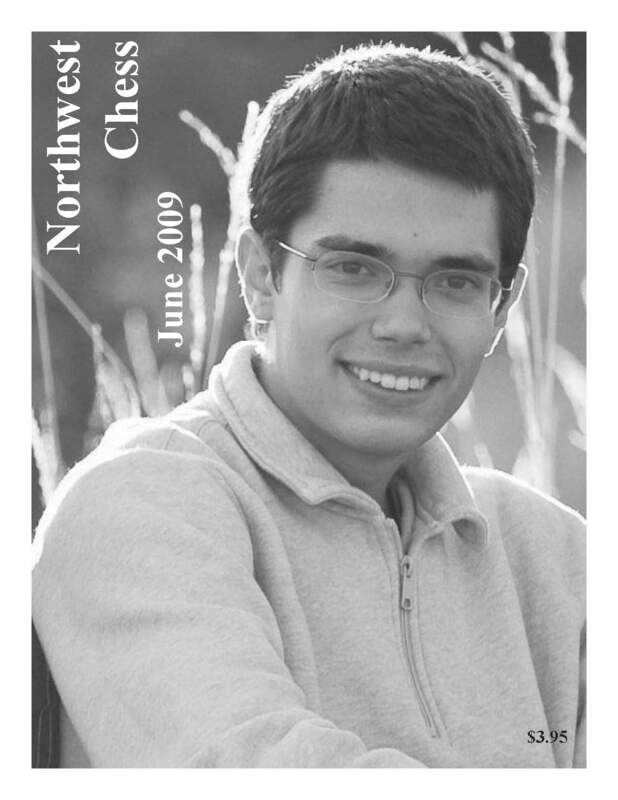 The September NWC magazine was edited by guest editor Ralph Dubisch. Thank you, Ralph! This is an interesting 32-page edition! We hope most of you like Ralph's style! Honorable Mention, Chess Journalists of America, Best Chess Photograph – de gib bang cover photo/art by Philip Peterson. August 24-page issue with annotated games from recent events, two articles (including an interview of Ignacio Perez) by Nat Koons, and a mathematically-oriented article, "So How Many Chess Board Positions Are There?" from your business manager! July 24-page issue with games from the Oregon state championship (won by Radu Roua), the National Open and the Keres Memorial! June 24-page issue with games from Reno & Tacoma, and the third and final installment of the James Hurt "Martian System" articles reprinted from 1938! April 32-page issue with games from the WA State Championship and Premier. 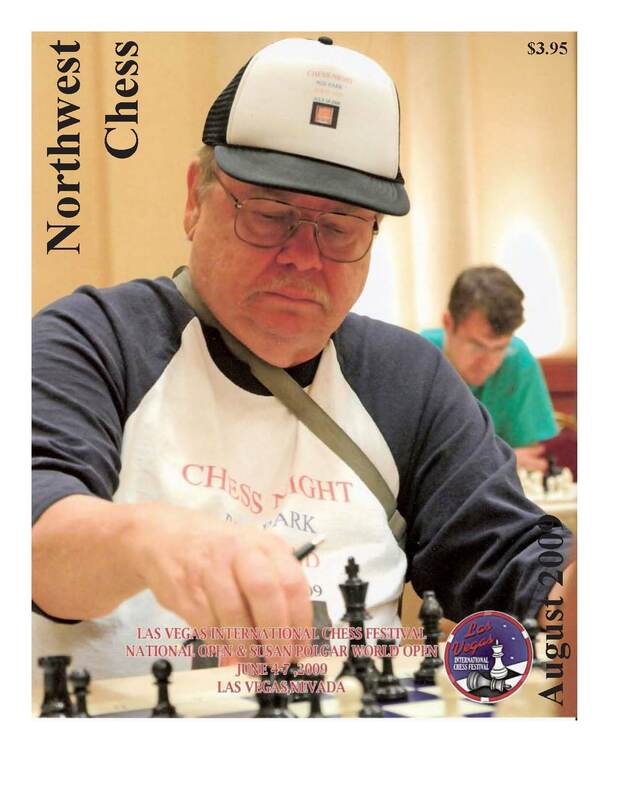 Northwest Chess combined Feb-Mar issue. December 24-page issue with a story on the Washington-British Columbia match (also see tournament news). November 24-page issue with reports on the US Chess League, National Chess Day, plus two instructional articles written by Washington State chess champion James Hurt way back in 1938! October 24-page issue, with games from the Oregon Open. September 24-page issue, with games from the U.S. Open, WA Blitz and more! August Special 32-page issue with games from the 1966 U.S. Open in Seattle!! Co-champions GM Robert Byrne and GM Pal Benko appear on the cover. July 24-page issue, with news of the WA Open, National Open, National K-9 Championship and more! June 24-page issue, including games from the Oregon championship and junior championship. May 16-page issue, including stories about Clark Harmon, the Reno Far West Open and the WA Elementary Championship. April 16-page issue, including a story about the Collyer Memorial tournament, and photos from the WA Chess Championship on the cover. March 32-page issue, including games from the WA Chess Championship and Premier. February 24-page issue, including reports from the WA Challengers' Cup and Seattle CC Extravaganza. January The magazine contains games from the WA Class Championships and more.